Have a project that requires original music? Good music pushes storytelling and expresses emotions words or picture cannot convey. I will compose original music for your project, produce and perform a demo and deliver a professionally mixed and mastered product. 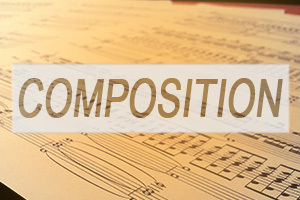 Need a virtual rendition of your orchestral composition but do not have the time or the tools? I will produce a professional sounding demo of your composition. The end result will be performed with passion and mixed and mastered with care. Need professional mixing of your recordings and productions? I offer professional mixing and/or mastering service for all types of music and projects of all sizes, all from a simple vocal with a guitar accompaniment to full-blown orchestral recordings and virtual mock-ups. Masters from as low as $20! Have a musical concept that you are simply unable to put down? Navigating the seas of production can be troubling, especially for people who just want to express themselves musically. I'll help you realize your ideas. Mixing and mastering included. From a concept to a finished piece of music!